There’s no better destination for winter sports than North Lake Tahoe! This region has gorgeous snow-covered mountains, stunning lakefront views, and the perfect weather conditions for a wonderful getaway. Preview some of our favorite winter activities in North Lake Tahoe below! Access our Free North Lake Tahoe Vacation Guide! When you think of winter in North Lake Tahoe, skiing is one of the first things that comes to mind. There are some excellent ski resorts nearby. 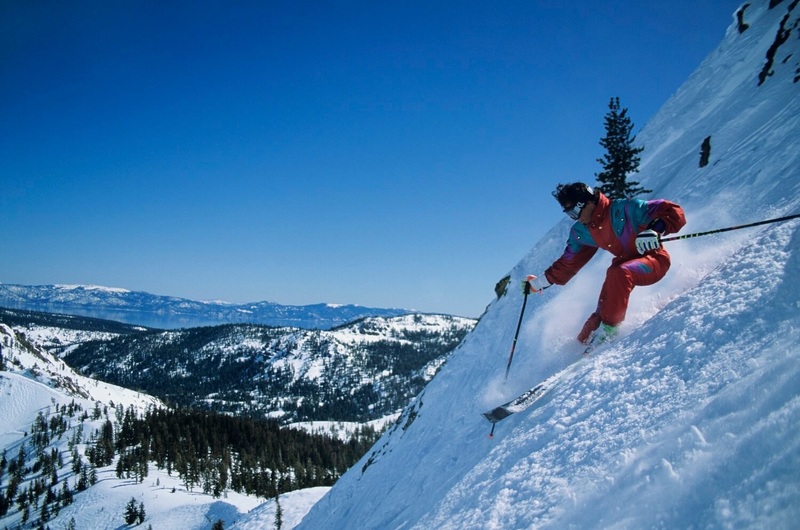 Squaw Valley and Alpine Meadows are two of the most popular, and for a good reason. They offer long, steep runs as well as moderate terrain that’s more accessible for beginners. It’s an excellent resort if you’re traveling with a group of people of all skill types. This mountain resort also offers an Olympic Ice Pavilion Rink. Homewood Mountain Resort is better suited for new skiers, with smoother runs and gorgeous views. Mt. Rose has the highest elevation of all of the resorts in the North Lake Tahoe area. They have more than 60 trails and three terrain parks. Northstar is another excellent family-friendly resort. With 3,1000 skiable acres of well-maintained land, you’ll have no trouble finding the perfect trail or slope for your day of fun. Northstar Resort also has an ice skating rink and trails for cross-country skiing and snowshoeing. It’s the ideal place for family activities in North Lake Tahoe! If you’re searching for a ski lease, you’re in luck. We offer rentals in Squaw Valley, Alpine Meadows, Tahoe City, Truckee, and North Lake Tahoe! You’ll find a wide variety of properties and fantastic amenities. Best of all, you’ll be able to find dog-friendly ski lease rentals! Feel the rush of zooming through the snow! Consider renting a snowmobile to explore the backcountry of North Lake Tahoe. Coldstream Adventures is an excellent option for beginners. They offer two-hour tours of beautiful Truckee terrain. If you’re celebrating a special occasion, consider booking one of their private adventures! Eagle Ridge Snowmobiling offers two to four-hour tours that include time on their trails as well as their “play areas,” which allow riders to go off-trail and experiment. You can also book a two-day tour, which is the ultimate snowmobile excursion! Tahoe City Cross Country is an excellent choice. 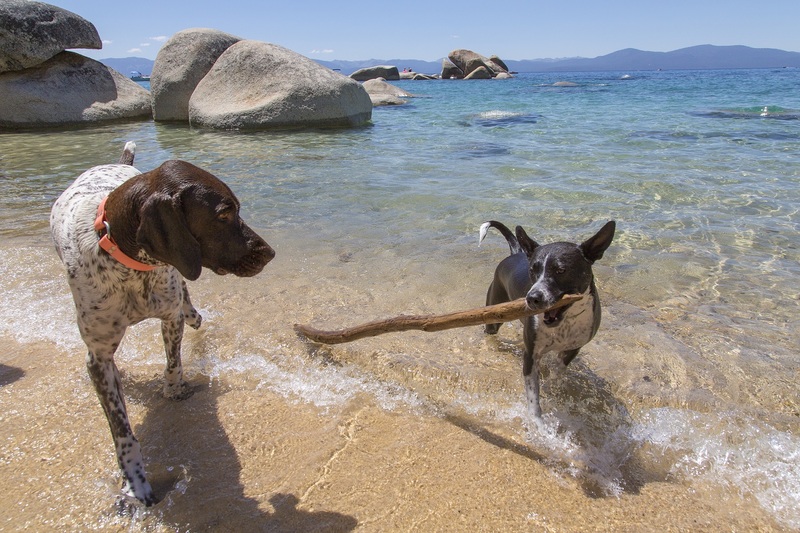 They have 21 trails that offer stunning views of Lake Tahoe, as well as eight kilometers of dog-friendly trails! Add to that their friendly staff and their warming huts with hot chocolate and tea available, and it’s no wonder why Tahoe City Cross Country is a local favorite. Tahoe Donner Cross Country Ski Center is another great option with the accolades to prove it! It has been voted the best cross-country ski center in North Lake Tahoe and Truckee by the Sierra Sun and one of the top three Cross Country Ski Resorts by USA Today. They feature over 100 kilometers of ski and snowshoe trails which are regularly maintained by their state-of-the-art grooming machines. Royal Gorge has some of the most beautiful views in the region. They offer a wide range of skiing experiences, from the traditional to more modern skate skiing. They also have a fantastic selection of dog-friendly trails. Enjoy gliding through a winter wonderland when you visit! Are you ready to enjoy these fantastic winter activities in North Lake Tahoe? The first step is booking a home with Tahoe Moon Properties. We’ve got the best selection of rentals in the region, from small cabins to larger houses. Are you looking for dog-friendly accommodations or a rental with a hot tub? We’ve got both in spades! When you book with Tahoe Moon Properties, you’ll enjoy more than just comfortable accommodations in a gorgeous setting. You’ll also have the combined knowledge of our fantastic staff, all of whom are local residents. There’s no better resource for things to do in North Lake Tahoe than our outstanding employees!